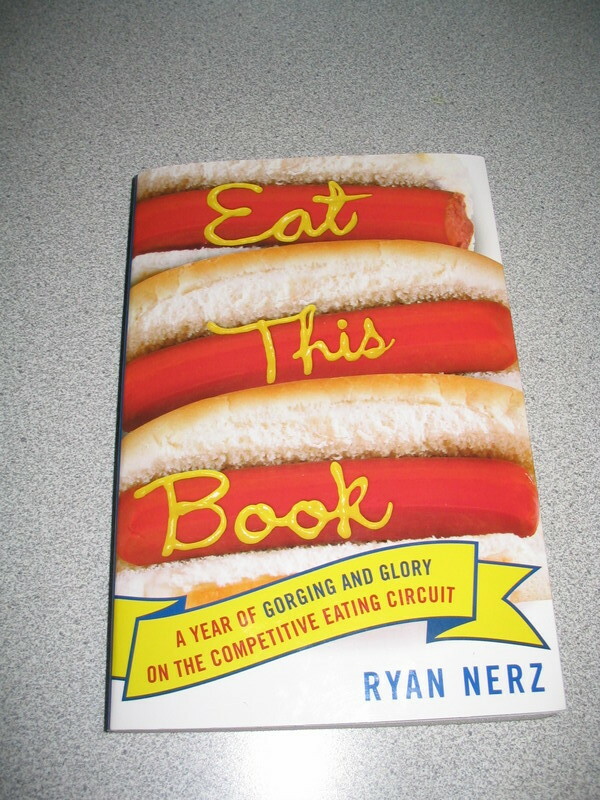 I just finished reading Eat This Book: A Year of Gorging and Glory on the Competitive Eating Circuit. This is one of the funniest books I’ve read in a long time. A lot of the characters in it could have stepped out of a John Waters movie, but they are all real people. And of course there is vomit. Not a lot of vomit, but some. ‘Reversal of fortune’, or ‘urges contrary to swallowing’, as they call it. There’s also a lot of talk about different strategies and techniques of speed-eating, and the author even tries is a little towards the end. His descriptions of how it felt during and especially after a contest are a thing of beauty. Anyway, if you’re like me and think this sort of thing is funny, this is a must-read. Watching eating contests always seem to make me a bit queasy. I think I’ll steer clear of this book. Glad you enjoyed it though!